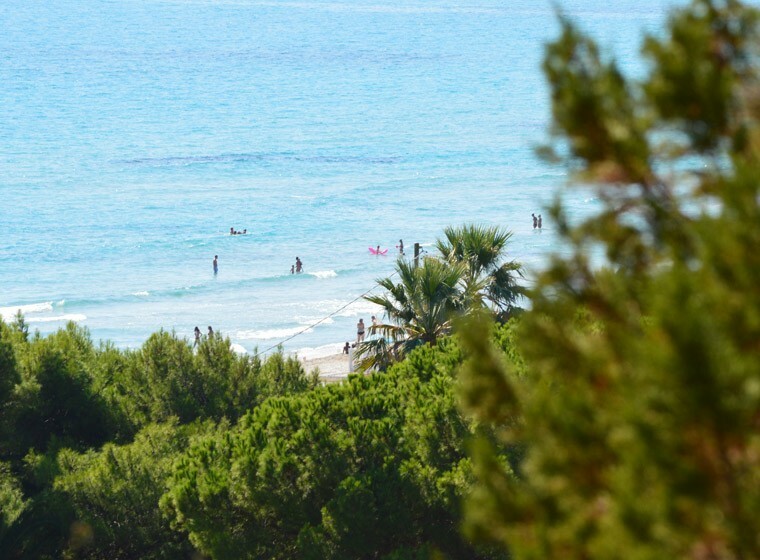 Residence Fenicia is just 200 m from the beautiful Simius beach, a pleasant walk along a private footpath through lush vegetation. 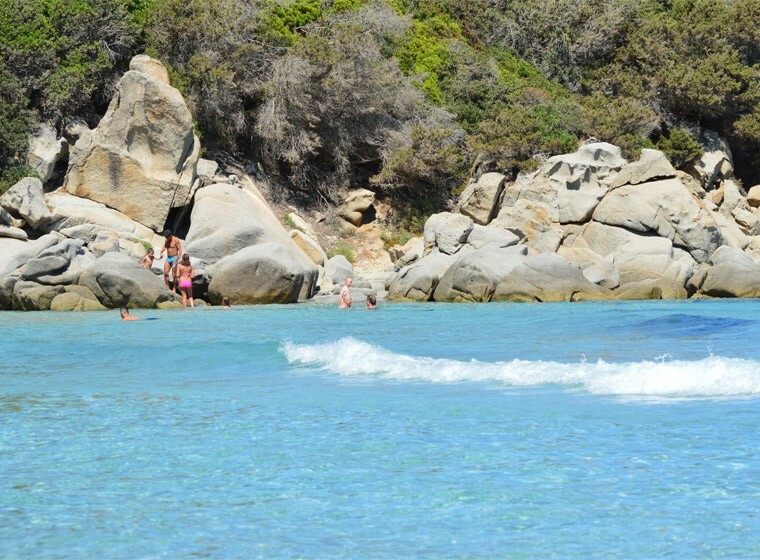 The north-end of the beach, which finishes with majestic granite rocks perfect for snorkelling and scuba diving, is reserved to Residence Fenicia guests. 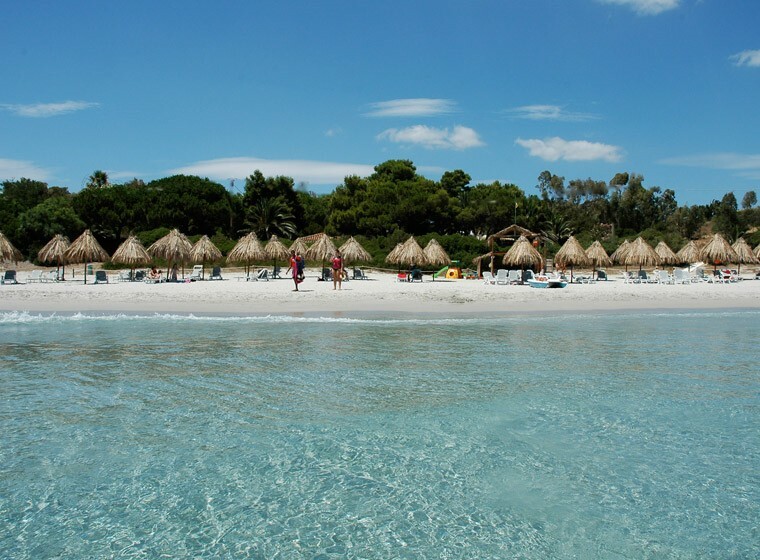 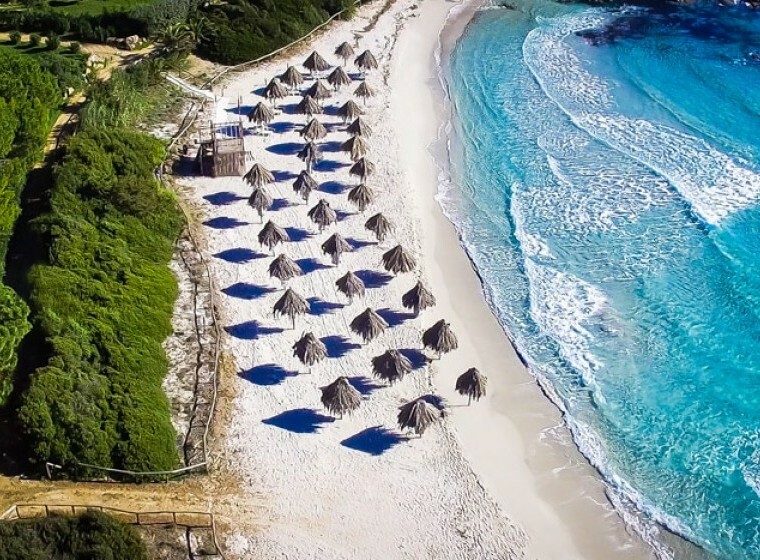 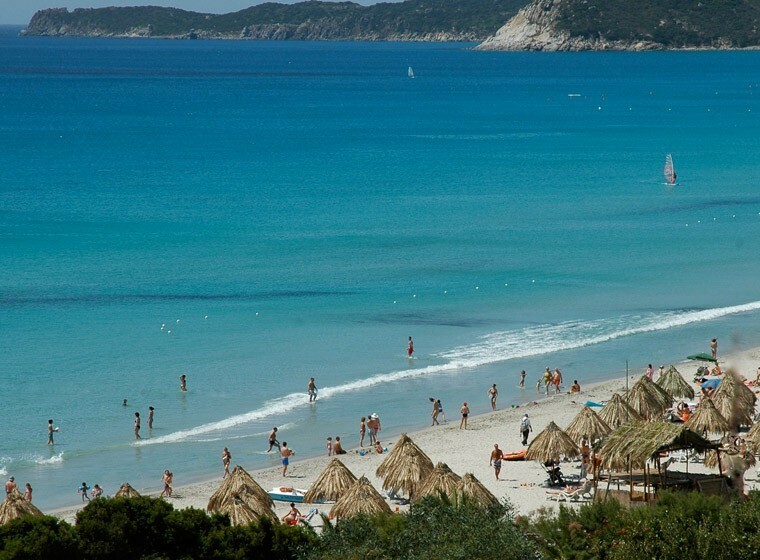 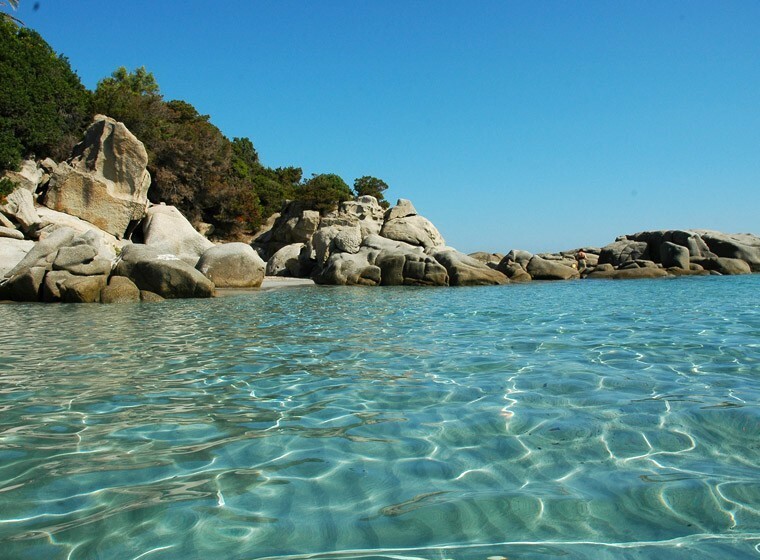 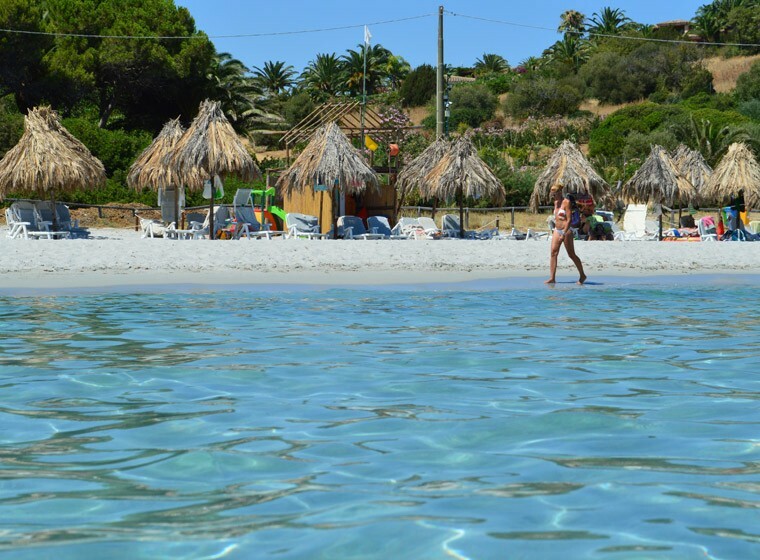 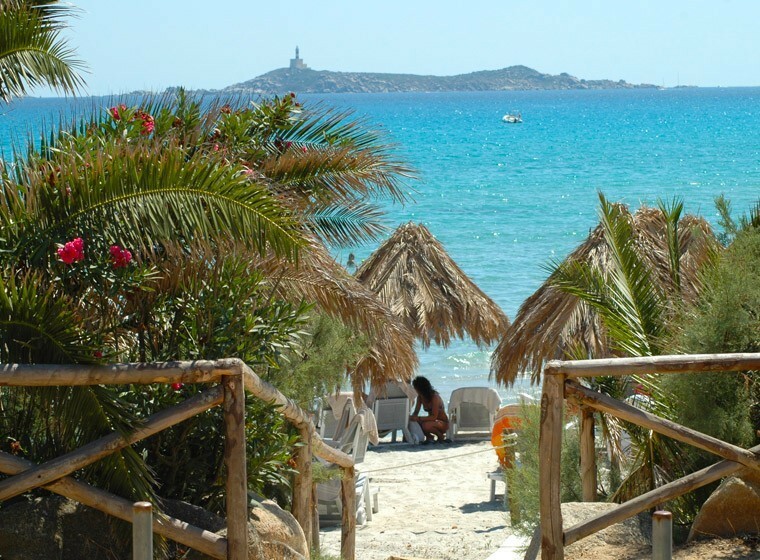 Thin white sand, shallow transparent water: a corner of paradise from where you can enjoy spectacular views of Capo Carbonara, the Spanish tower of Porto Giunco and Cavoli Island. 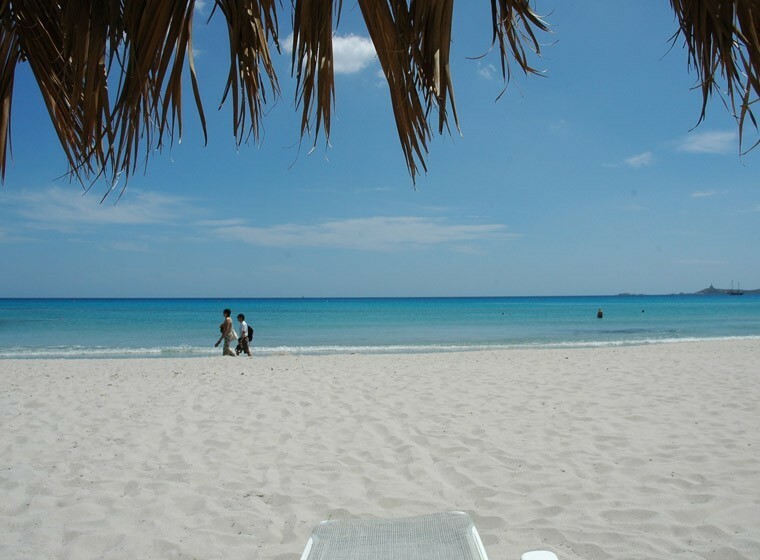 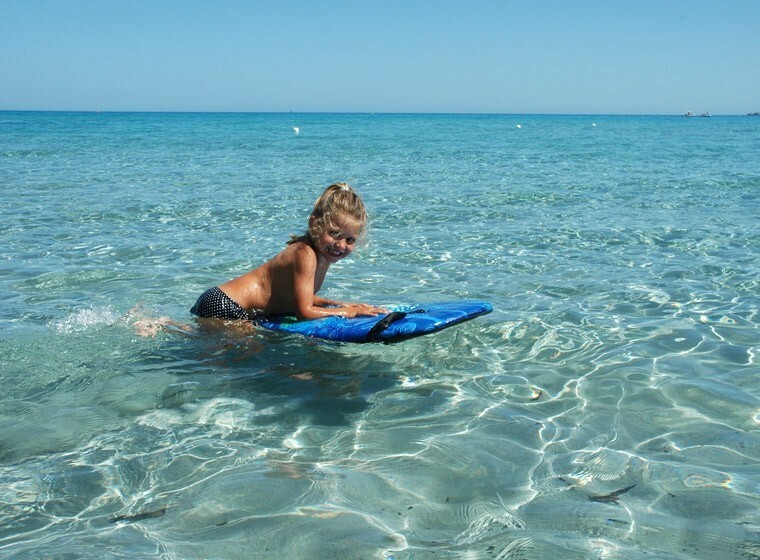 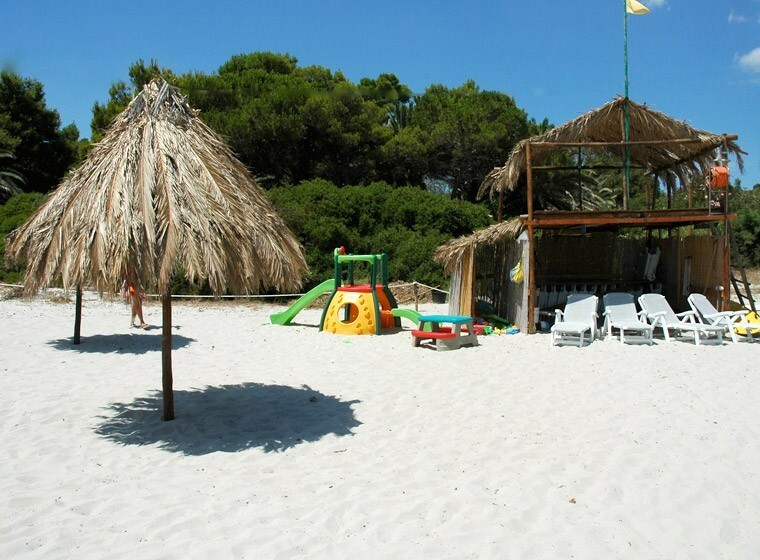 Resident Fenicia guests have free use of beach towels, one umbrella and two sun loungers per apartment. 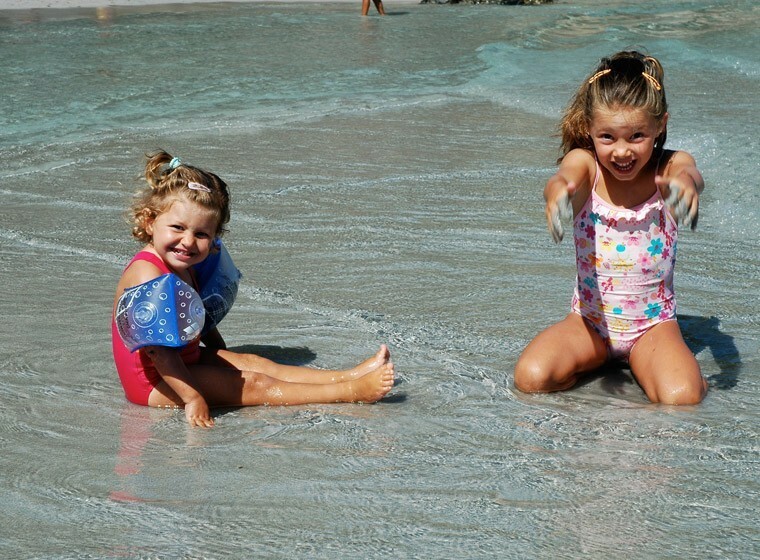 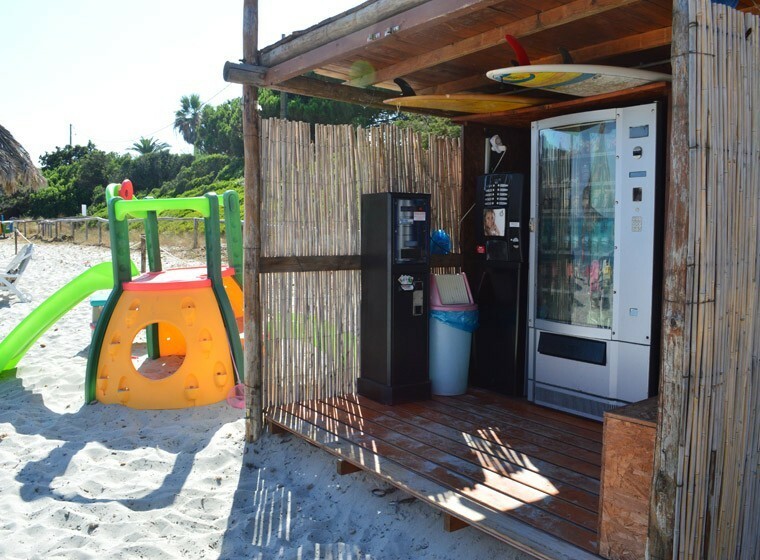 The beach has a play area for children and a cafeteria with a self-service area that offers a variety of snacks. 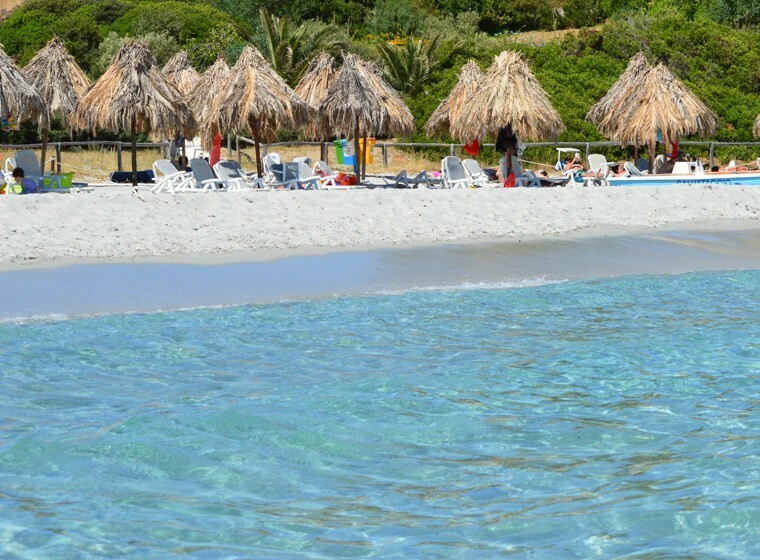 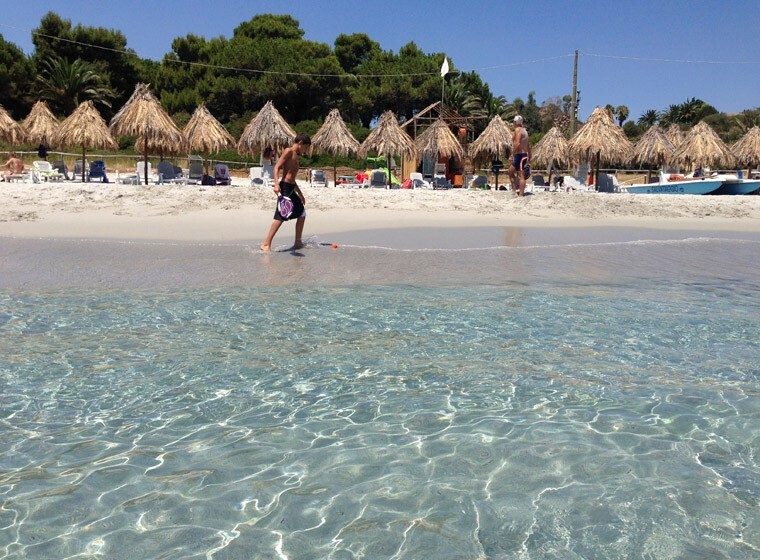 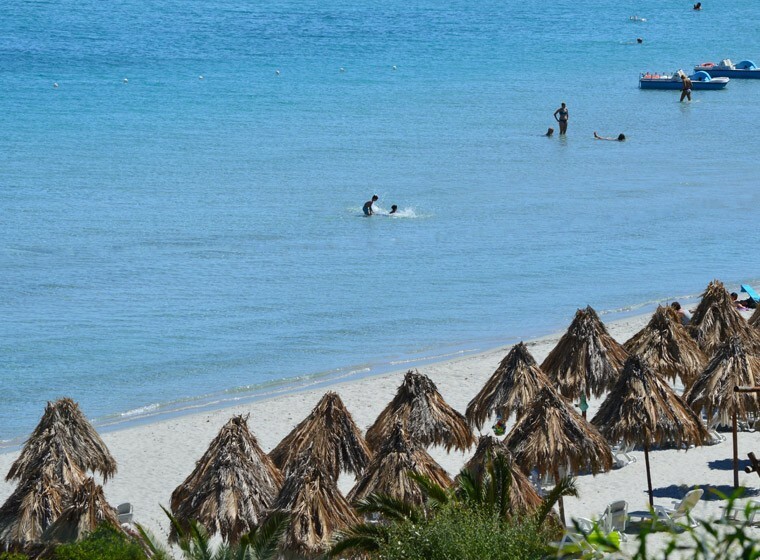 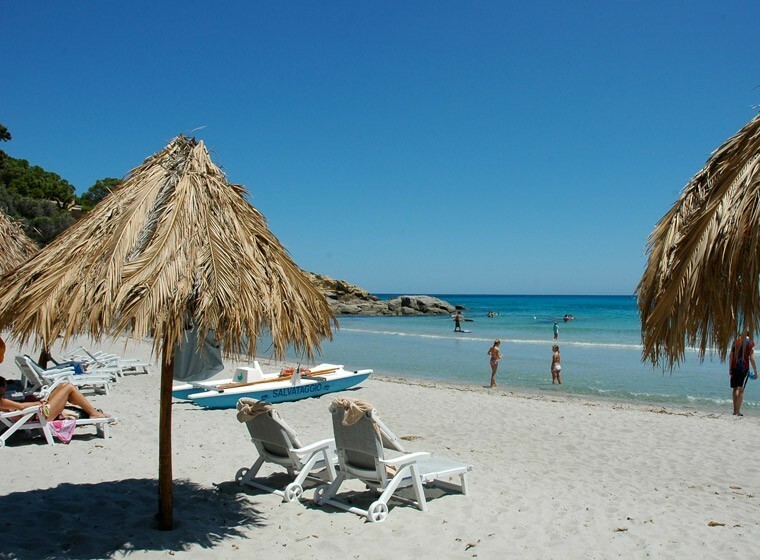 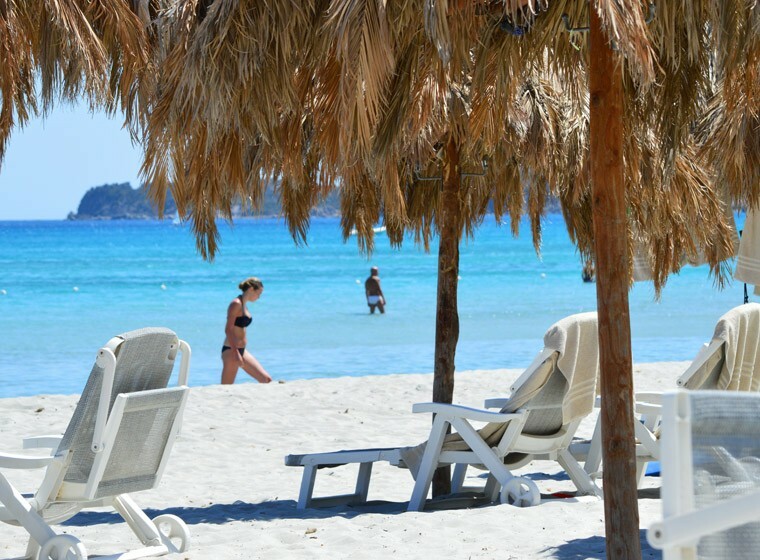 For those who enjoy walking, along Simius beach there is no shortage of kiosks, restaurants and bars. 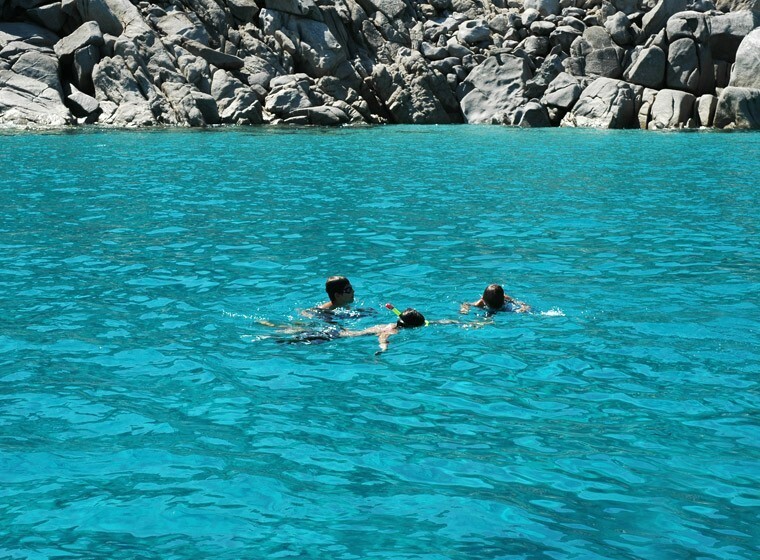 Services also include pedal boats and canoe hire, diving, windsurfing and kitesurfing lessons.